Recently I googled the word ‘Resilience’ and couldn’t believe the 168,000,000 possible results that sit somewhere on the internet about it. I pondered, where would one begin when trying to understand resilience? What we do know is that in modern psychology being resilient means to ‘bounce back’ from a dramatic change or a traumatic event. In education, resilience describes the trait needed to become adaptable in today’s world which can be described as ‘volatile, uncertain, complex and ambiguous’. Developing resilience is a lifelong process of doing, reflecting and redoing and it involves the strategies of self-regulation, developing relationships and an internal focus of control. Last Friday, the Pastoral Team, School Counsellors and Year Team Managers (7-9) met to discuss and examine our suite of Pastoral Care and Student Wellbeing programs at Loreto Normanhurst. It was a day for tremendous sharing, reflecting, discerning and considering what we need to build on in order to best equip students for a world beyond the school grounds. What became important through our discussions is the need to develop resilience and the social and emotional learning competencies of self-awareness, self-management, social awareness, relationship skills and responsible decision-making into our programs and that of the broader school context. The developing of these explicit competencies and skills will significantly enhance your daughter’s capacity and life beyond her school years. 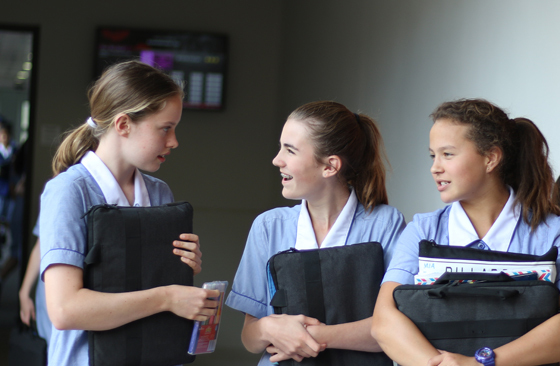 As a school, we are committed to future thinking and planning in order for your daughter to experience pastoral care and wellbeing programs that are contemporary, preventative and evidenced based. This is a point of difference for Loreto Normanhurst and one of its many pearls. Mindfulness is the practice of being in the moment, being present and being open to what you’re focusing on. Mindfulness is all about building resilience. Research has proven that mindfulness has endless benefits for children. This school-taught activity is on the rise and many experts are wanting it to be a compulsory component of the national curriculum. Click here to access this SchoolTV edition. We are only two weeks away from Music Festival and the end of the term. It is certainly going quickly. The House choirs are sounding beautiful and I look forward to seeing many of you at the ICC on Friday 12 April. If you have any questions do not hesitate to email me here.